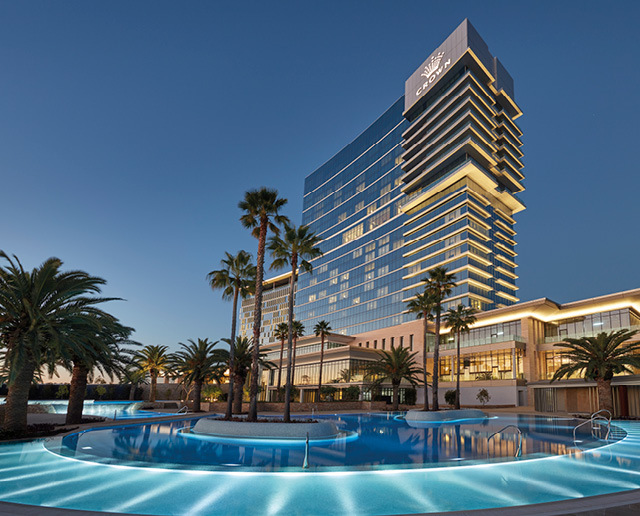 The new luxury hotel Crown Towers in Perth, Western Australia, is tagged as been intelligently designed with the latest in luxury hotel technology. AOM filtration equipment was supplied and installed within this context. 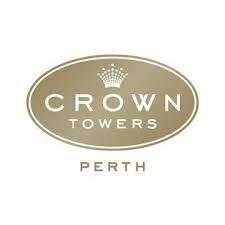 AOM SCRUBBOX Electrostatic Precipitators have been installed to manage the kitchen exhaust discharge for the Crown Tower restaurants. High efficiency grease and smoke filtration ensures that no impacts are perceived from the kitchen exhaust discharge points. AOM servicing teams are currently guaranteeing that the equipment always functions as per specifications with routine cleaning of the filters as well as review of the equipment performance. 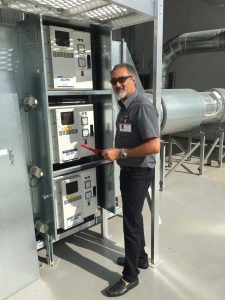 AOM WA State Manager reviewing the AOM filtration equipment during a routine equipment inspection.